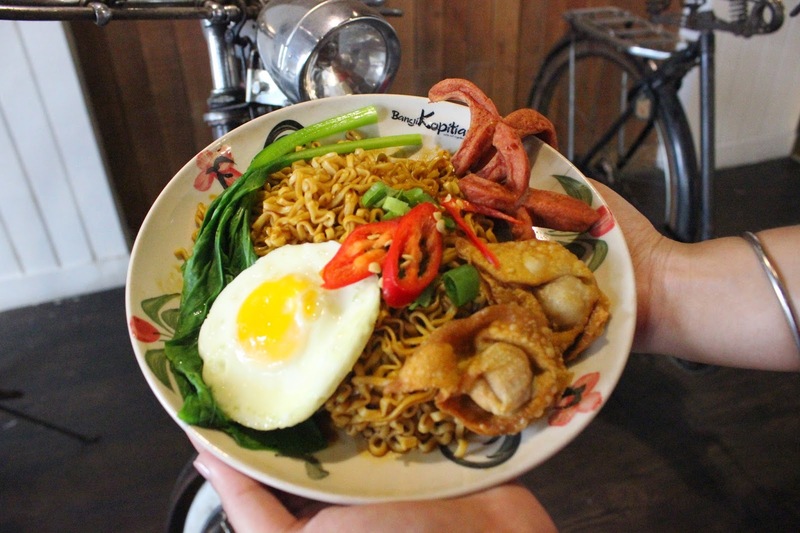 Bangi Kopitiam, Capture Taste of Asia! On 25 February, I was invited to AbraResto Brunch Session (BIG THANKS to ci Odi!!) 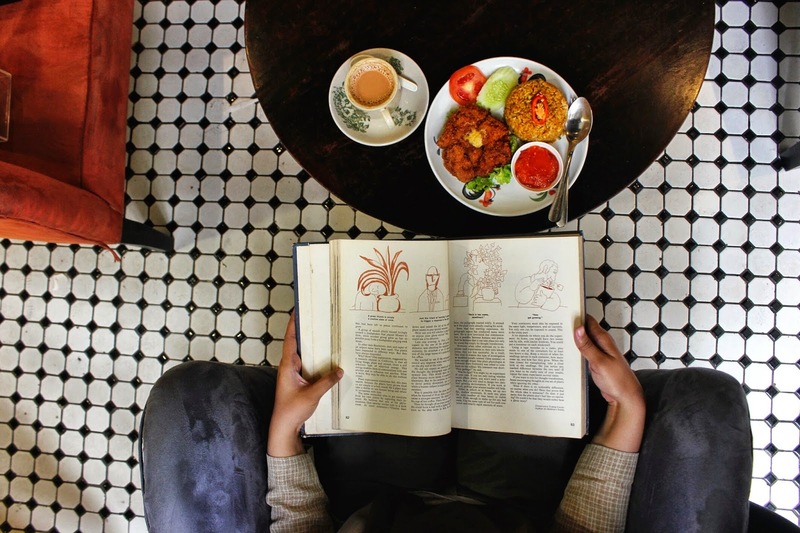 in Bangi Kopitiam, in Kota Tua. Eventhough it’s like a long long way from my boarding house, which is in Pejaten area to Kota, I feel really excited to join! 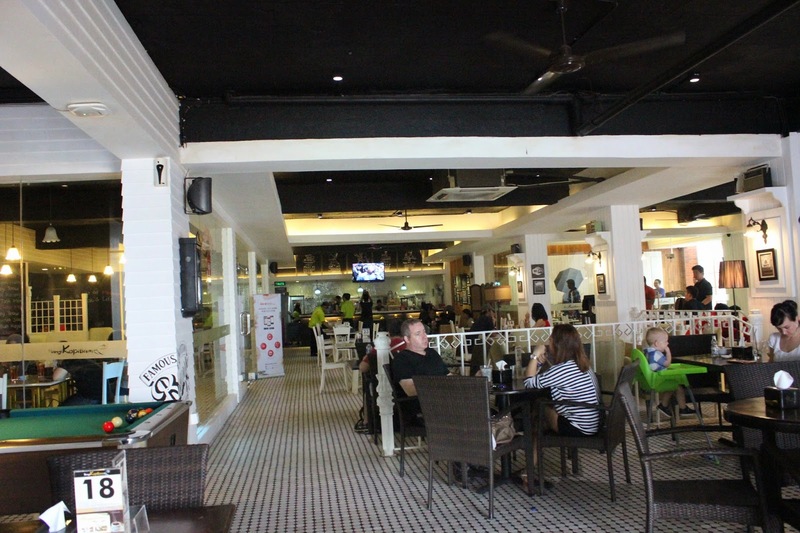 It’s not hard to find Bangi Kopitiam as the location is exactly in the center of tourist place in Kota. Its Saturday that day, so Kota was super crowded with local and foreign tourists. I go straight into Bangi Kopitiam, and there are some people who already there. 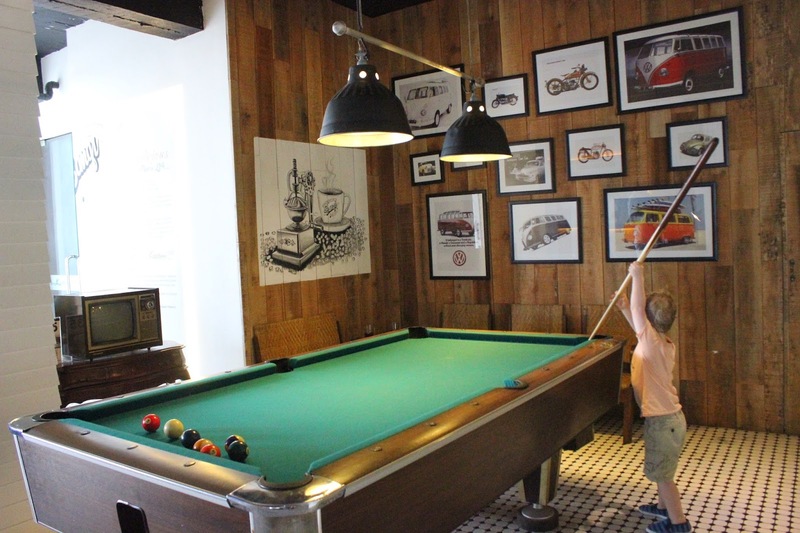 Yes, you can play billyard for free!! At about 12.30 p.m, the event begins. 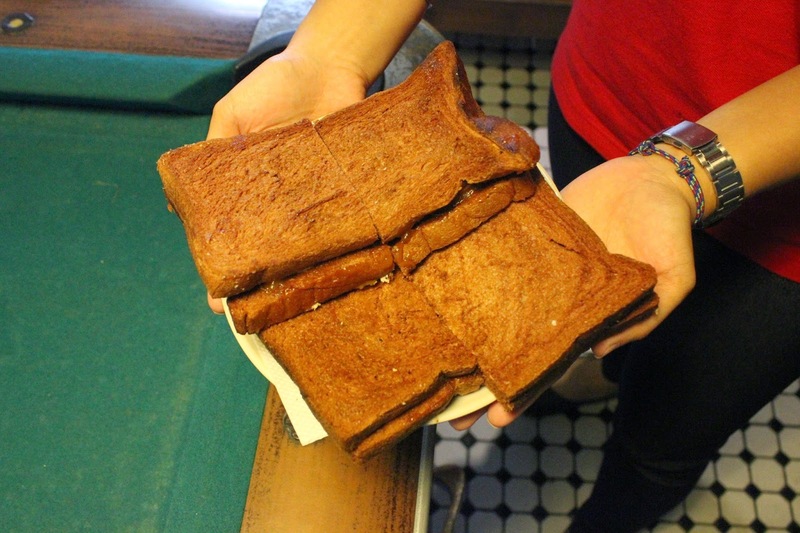 First, the appetizer came out, which is Toasts. There are many kinds of them, like milo toasts, kaya toasts, and butter toasts. I taste all of them, and it all taste great! What I love the most is the kaya and the butter! Then, there’s a welcome speech from Abra Resto, Bangi Kopitiam, and also Koko Cici Jakarta (Yes! They are here to talk about Peranakan Food later on). After that, the waiter comes to each of us to write our order. For the Meet Up, Bangi Kopitiam and Abra Resto already has a special menu for us. There are 5 maincourse that I could pick, and I choose the Dolly Prawn Wonton Noodle. It taste great – but for me, too much ketchup, because I don’t like Ketchup – and there are vegetables, prawn, wonton (pangsit), and sausage. There’s also a clear soup to enjoy along with the noodle. While we are eating the main course, Koko Cici Jakarta step up and introduce themselves, then they talk about Peranakan Food. 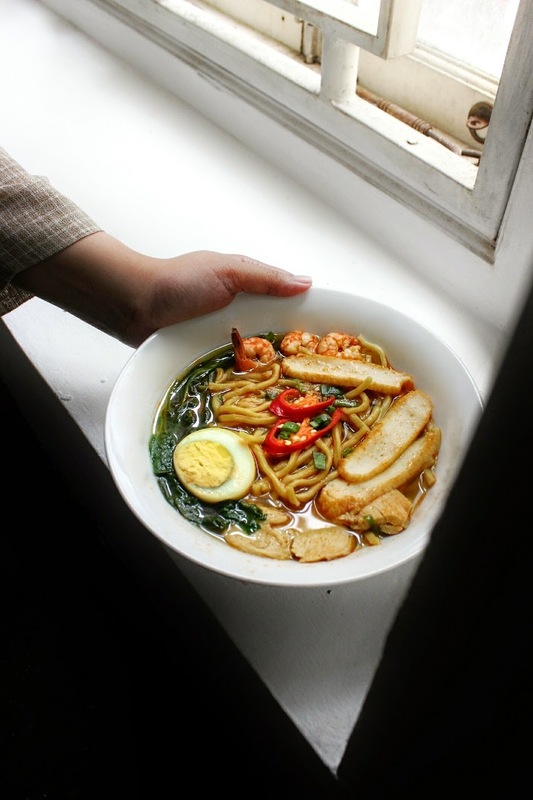 Along with the conversation, I just knew that there are a lot, lot, lot Peranakan Food all over Indonesia. Guess what? 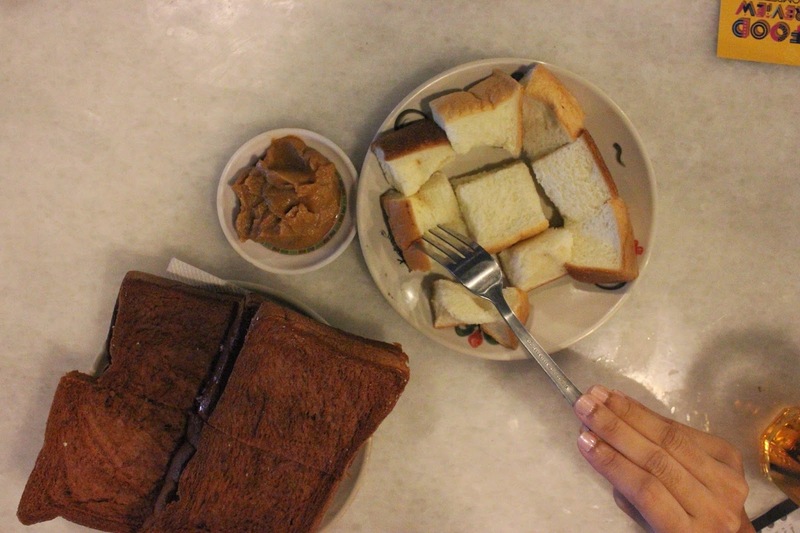 Tahu Gejrot is actually a Peranakan Food! Tofu came from China, not from Indonesia. But, the sambal is made from Indonesia. That is why; Tahu Gejrot is a Peranakan Food. Well, I got a lot of knowledge here. Thanks Koko Cici Jakarta! You Two Rock! After we eat the main course and share about Peranakan Food, there is a Tea Tarik show from one of the Bangi Kopitiam chef. 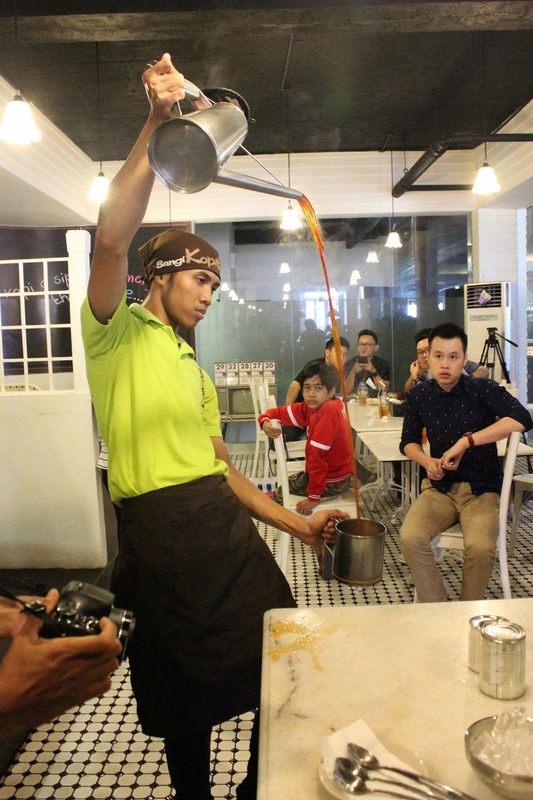 He shows us how to make Tea Tarik, step by step. At the end, some of us also have a chance to make the Tea Tarik. I don’t raise my hand, because I’m like 100% totally sure that I’ll spill the Tea. After the tea Tarik show, Bangi Kopitiam serve us the dessert. It’s like an es teler but only with milk, red sugar, jackfruit, …. . I really love it, taste sweet, and I crave for more! Not for long, the waiters bring up 20 foods inside the room; place it on the middle of the table. 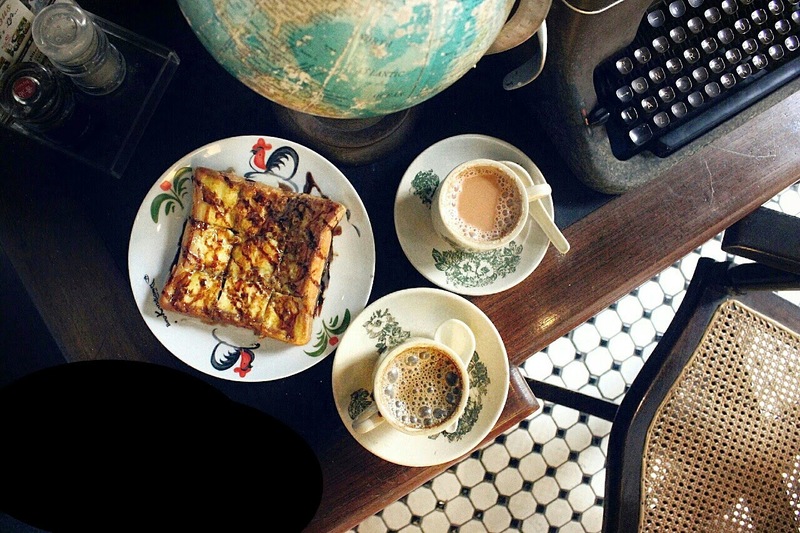 For us who wants to take photos, it’s allowed to bring them everywhere we want, and we can also taste all the food too, together with the other foodies! Of course, the foodies and I take a photo of the food first before tasting it. 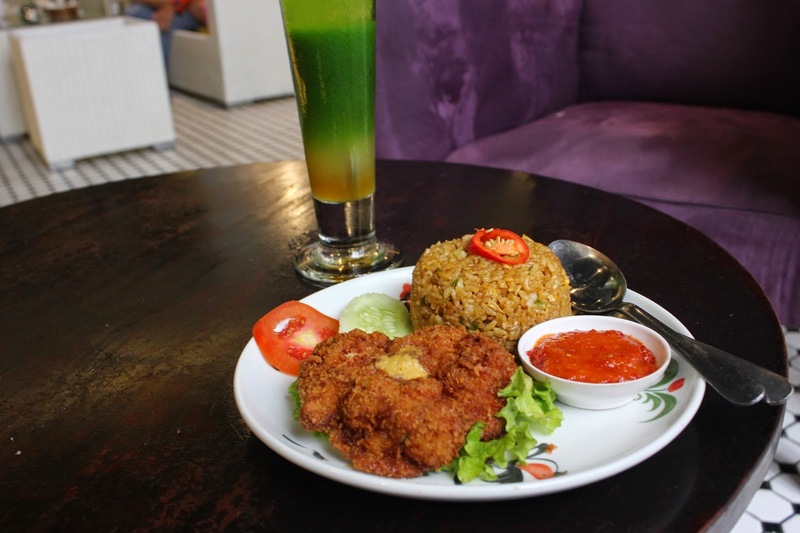 My first pick is of course the Tea Tarik, because it the most wanted menu in all Kopitiam restaurant. I must say that their Tea Tarik taste really good. 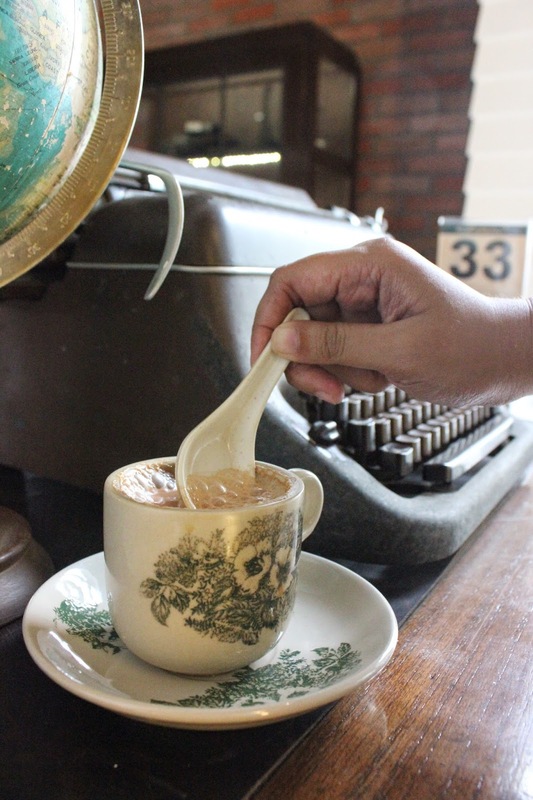 If they reduce the sweetness jusstttt a little bit, then this Tea Tarik is totally perfect! When I pick the cup with brown liquid inside it, which I thought was Tea Tarik, it’s actually a coffee. Well, well, a bit of surprise in my tounge, because I expect a Tea Tarik taste there, haha! It was a nice mistake though, because the Coffee tastes great. It’s very suitable for beginner coffee lover. It has a lot of creamer in sugar in it, I bet. Surprisingly, they also have Rujak! It’s not in the menu, but in my surprise, it tastes fresh! Before the event ends, AbraResto crew asks all of us to take one picture together in front of Bangi Kopitiam. 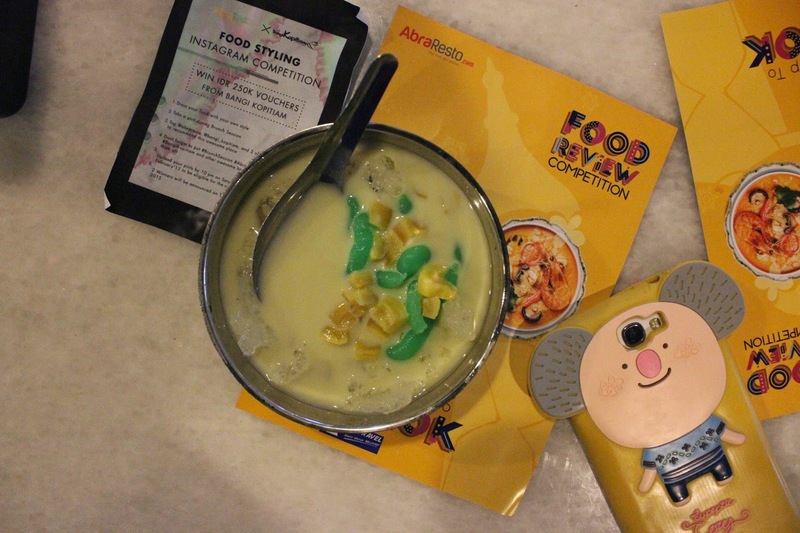 Plus, there’s a souvenir from Bangi Kopitiam and AbraResto for all of the Foodies who came to the event. 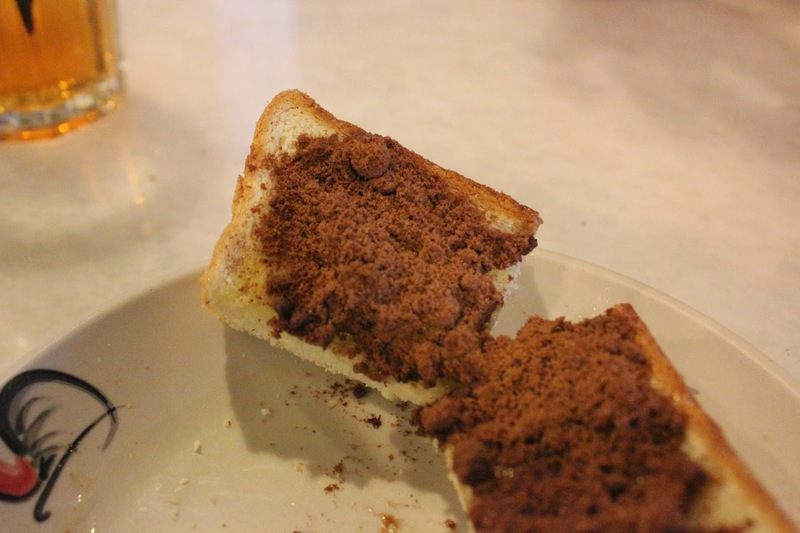 (It’s a Bangi Kopitiam little tumblr!). AbraResto also ask me to be interviewed by their video cameraman. Of course, I wouldn’t mind! Overall, I enjoy the event, the good food, and I met a lot of new people. Thanks AbraResto.com, I truly have a great time in this Brunch Session! See ya! Psttt, you can see the recap of AbraResto meet up here! Stay in touch & get the newest update!
. Blog . Instagram . G+ . Twitter . LinkedIn . Askfm . Gastromaquia : Makan disini Terasa di Spanyol, Hidden Gem Banget! Thai Xtreme: Masakan Thailand Otentik yang Menggoyang Lidah!